Do you ever wonder why you were put on this earth? Maybe you even wonder why you are the way you are. When God knit you in your mother’s womb, He made you wonderfully and fearfully, creating you for a specific and magnificent purpose. Maybe you think that God can’t use someone like you. No matter what has happened between the time you were born and now, God has a great plan for your life. In fact, you can’t even begin to imagine the great things God has for you! Join me and my new sweet friend, Rochelle Valasek, on this Saturday, July 16, at 8 p.m. CST (9 p.m. EDT) for our Planned With a Purpose webinar. It’s going to be so much fun! 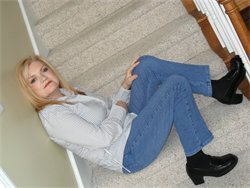 Rochelle “Shelley” Valasek is an Author, Christian speaker, Humorist, and Spiritual Health Coach. Rochelle’s effervescence is valuable and her love for God and others is unmistakable in all that she does. Her humor is contagious and her joy is not hidden. She has been compared to a cross between Liz Curtis Higgs, Anita Renfroe, and Beth Moore. For Rochelle, being authentic is the only way to go. Her life experiences are nothing she is ashamed of. As a matter of fact, she understands that they have made her who she is today and that it was all to the glory of God. She has been transparent in her ministry and it thrives because she holds nothing back. I am so honored and excited to be doing this webinar with Rochelle! You will love her! To learn more about this fun webinar, just click here.